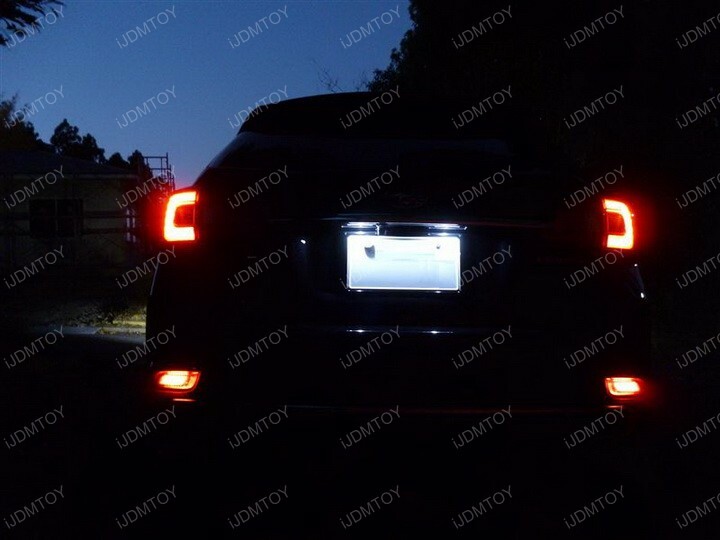 Q: Are these LED bumper reflectors street legal? 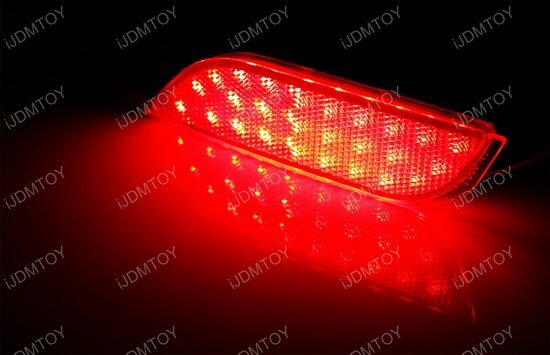 A: Of course, since the LED shines out a red color no matter the lens is red, clear or even smoked. 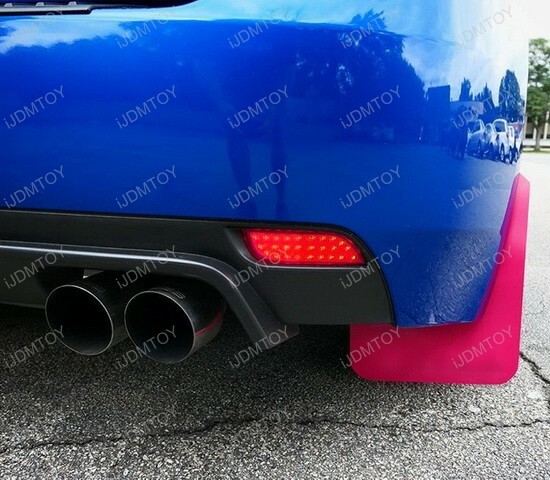 Not only it is 100% street legal, but also makes a perfect safety improvement. 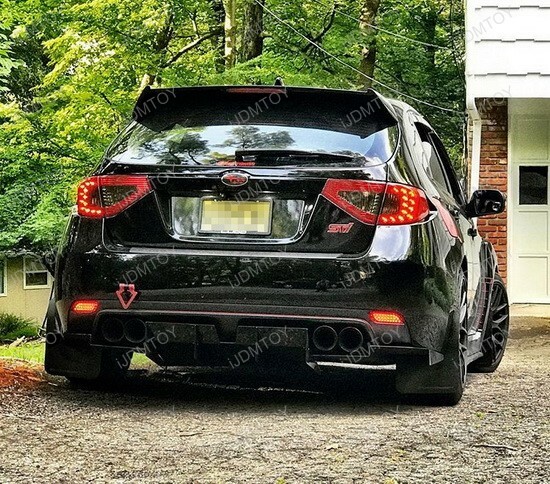 Q: How do I remove the stock bumper reflectors? 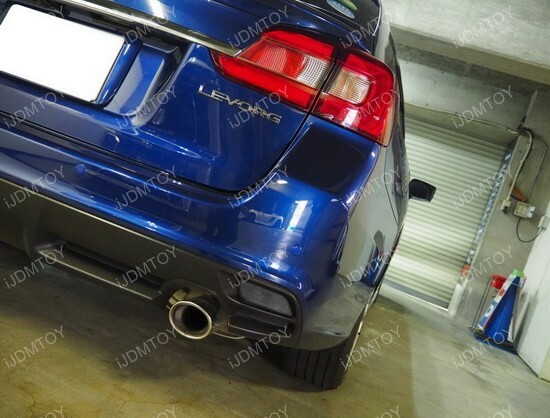 A: For most cars, you will need to remove the rear bumper in order to move the bumper reflectors. 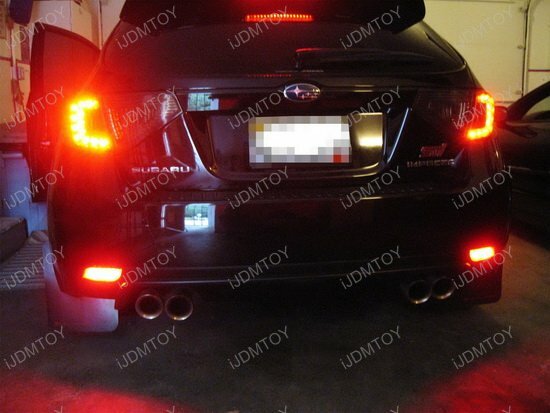 We have two installation guide for installing the LED bumper reflectors, please take a look. 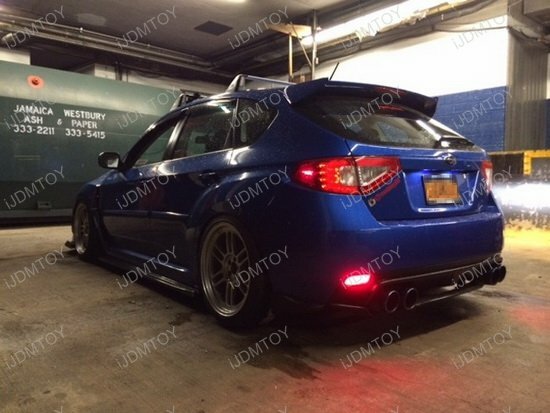 Q: How do I install these LED bumper reflector lamps on my Subaru? 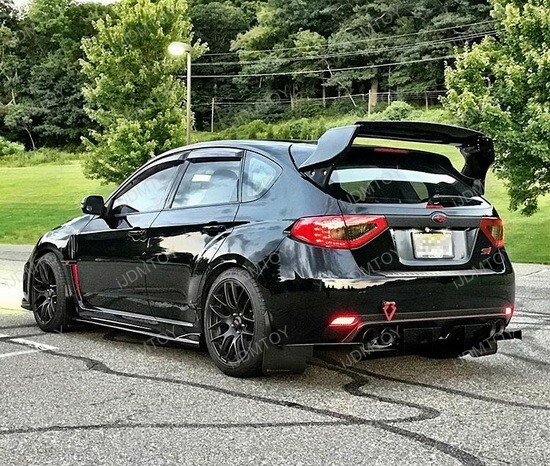 Step 1: Reach towards the back of your Subaru's stock bumper reflector to squeeze its tabs and release it from your lower bumper. 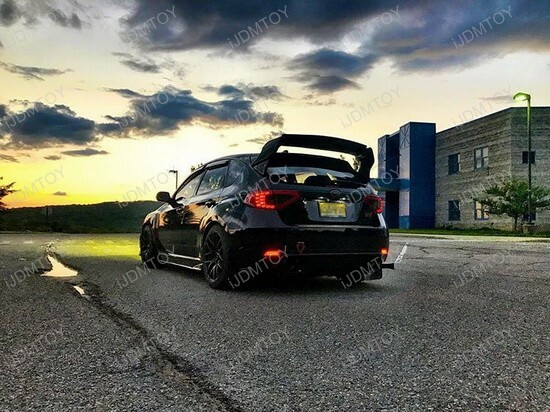 Step 2: Directly replace your Subaru's OEM bumper reflector with the LED bumper reflector brake light, routing the wires through one of the holes and up towards your tail light. 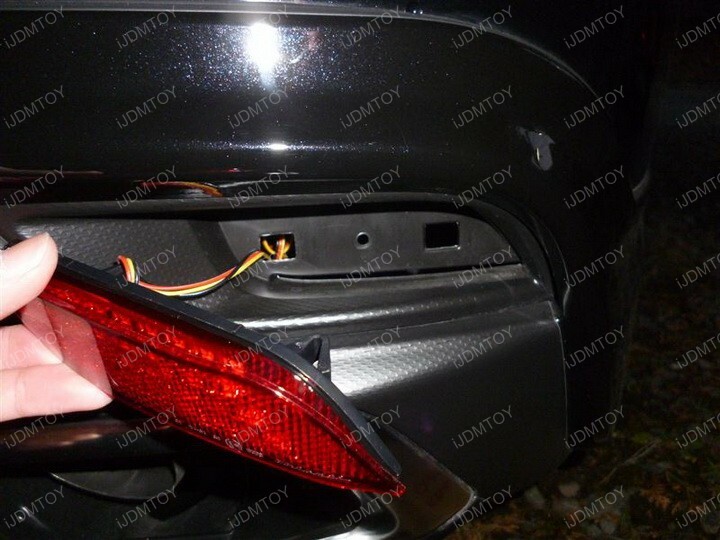 Step 3: Remove the tail light housing to reveal the wires you will be tapping the LED bumper reflector light wires to. 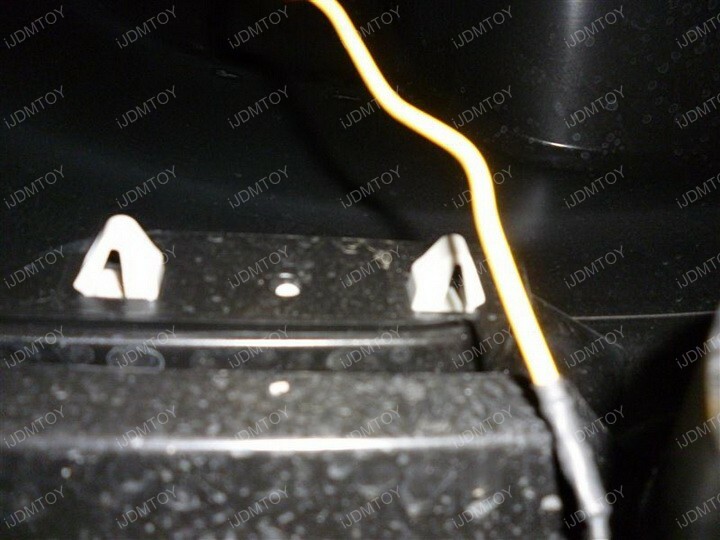 Step 4: Connect the black wire to a ground connection, the red wire to the tail light wire, and the yellow wire to the brake light wire. 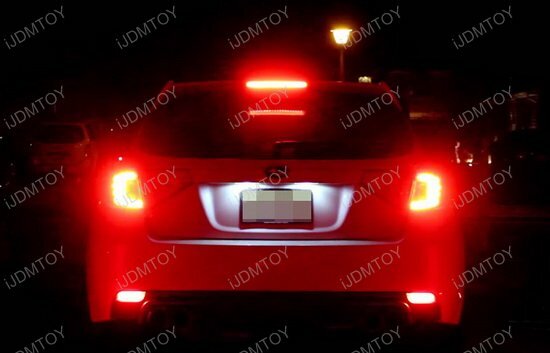 Step 5: Test the LED bumper reflector brake light to make sure it fully functions before putting your tail light housing back on. 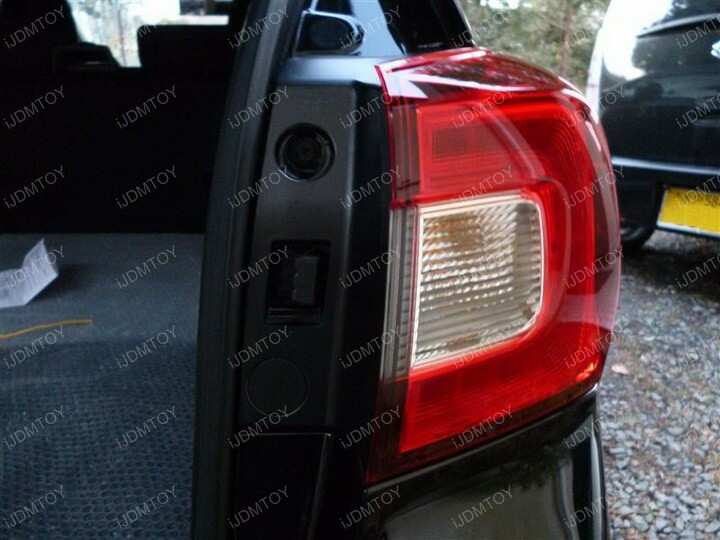 Step 6: Once you've confirmed that the Subaru bumper reflector LED brake light works as intended, put your tail light housing back on. Repeat steps 1-6 on the other side. 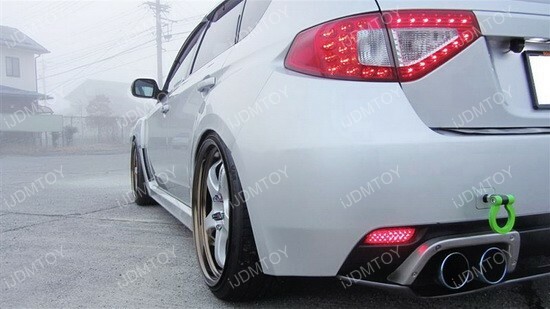 You may now enjoy your Subaru's added style and safety features brought to you by the LED bumper reflector brake lamps! 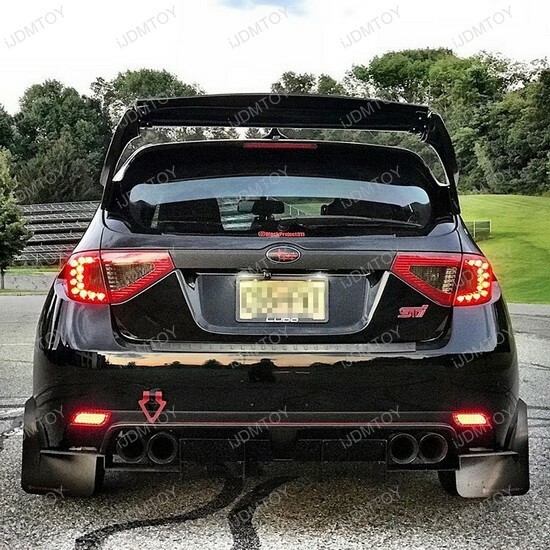 Q: Which one is left and which one is right? 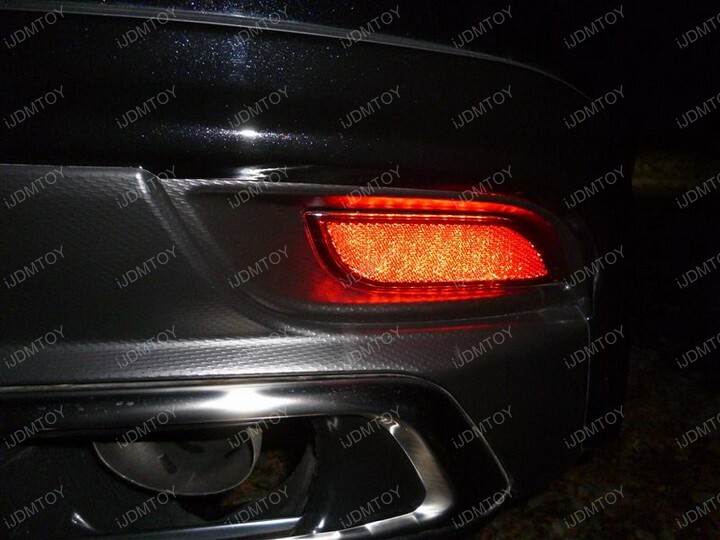 A: Please match the LED bumper reflectors with your car's stock ones for identifying the left or right. 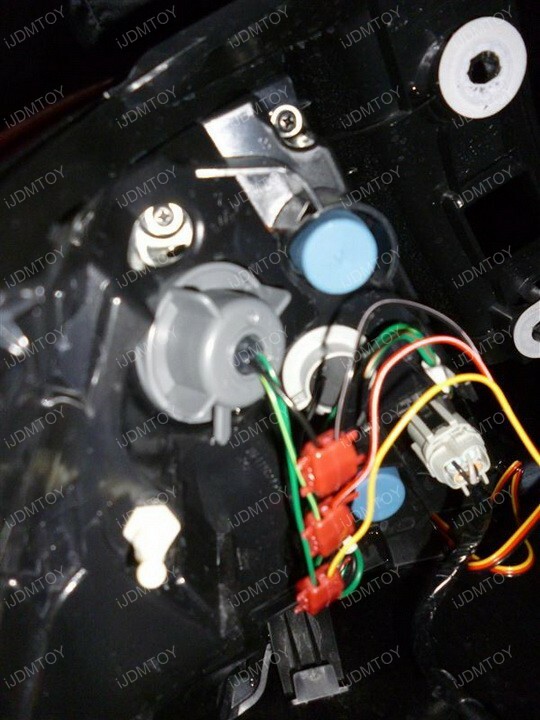 Q: How do I connect the wires? 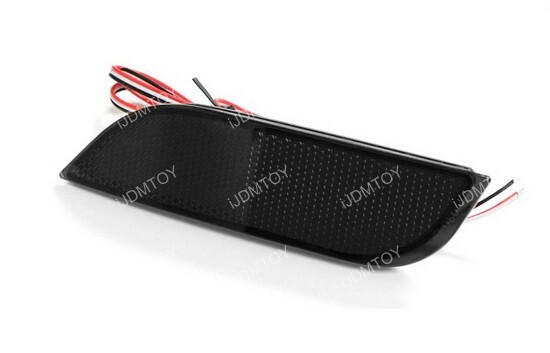 For specific wiring with the functions of the colors, please refer to the "Product Detail" tab under feature. 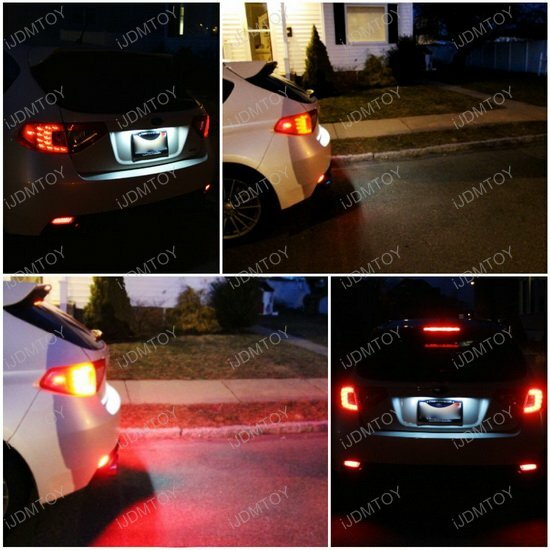 Q: After the installation, the LED bumper reflector does not light up or the bright/dim modes are reversed? 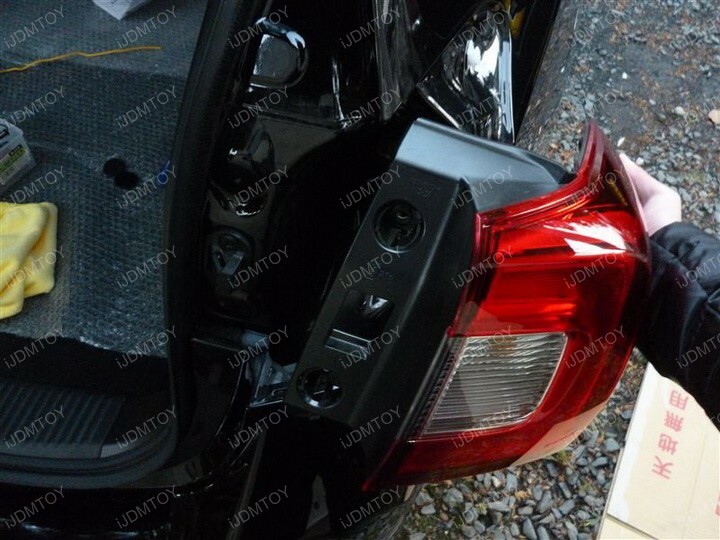 Perfect fit, these LED bumper reflector brake lights were easy to install. 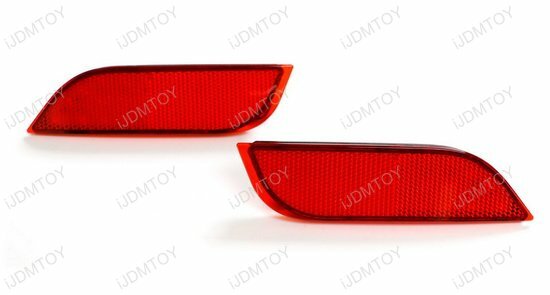 Excellent pair of LED bumper reflector lights. 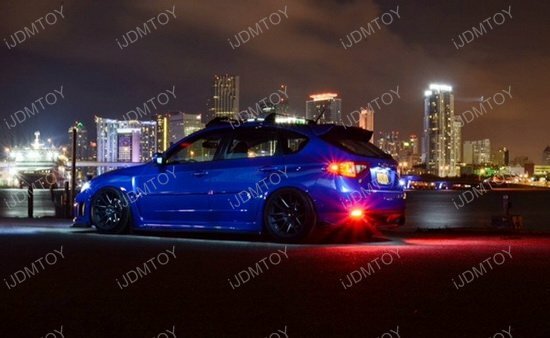 Adds illumition safety feature to rear of mySubaru crosstrek when braking or night driving. 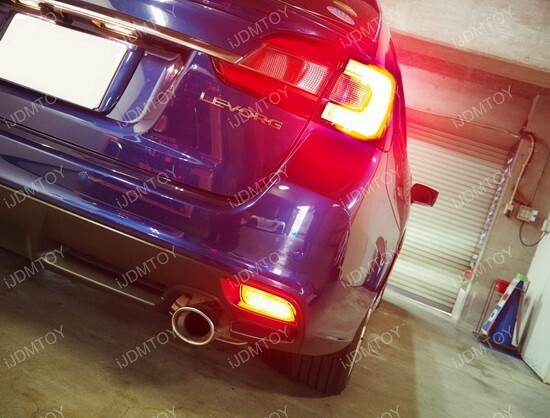 Easy to install, just check out video on YouTube. 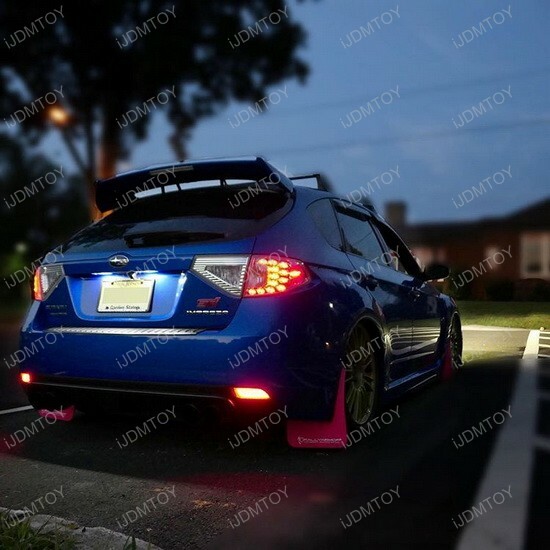 These Subaru LED reflector lights meets my expectations. 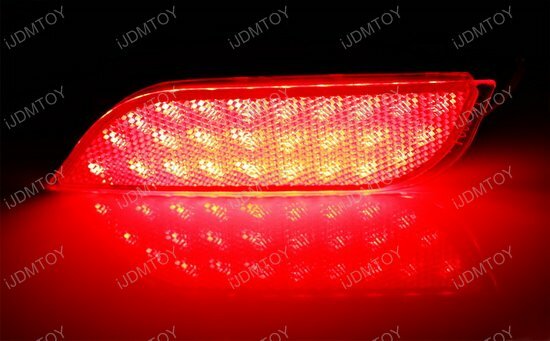 I'm using it as a turn signal, brake light, and parking lot. 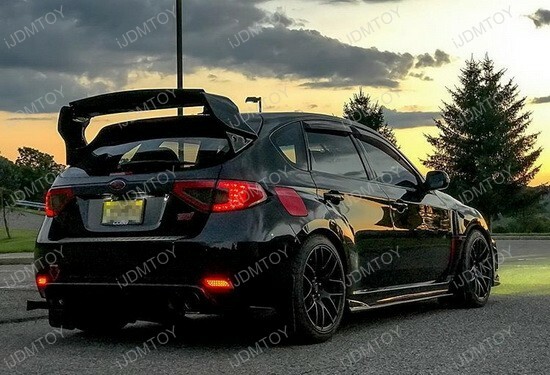 Excellent purchase, definitely recommend!